The Internal Revenue Service (IRS) updates Federal tax forms and publications each year. You can tell if you have the most current one by the date listed in the title. Check the IRS webpage (listed below) for updates. You can search using the publication number in each section. People who use assistive technology can save money on their taxes in many ways. Here are just a few. Some of these tax breaks are only for people who use assistive technology. Others are for people with disabilities whether or not they use assistive technology. A few are for all low-income people, with or without disabilities. We include them here because studies show people with disabilities are more likely than people without disabilities to have low incomes. We include links to webpages with more information with each section. You might have to scroll down each webpage to find the right information for you. Income means any money you get from any source. You have to pay taxes on all income that is not excluded. Here are some kinds of income you might not have to pay taxes on. Medicaid Home and Community Based Services (HCBS) Waivers pay some caregivers to give non-medical care to people who live with them. Starting on January 3, 2014, the caregiver no longer has to pay federal income tax on that money. For more information see Internal Revenue Bulletin 2014-4 on the IRS website. If you were paid by Medicaid Waivers to provide this care in the last three years, you can file amended tax returns to get a refund. Amended returns can be filed for the past 3 tax years. The IRS has a Q&A section for more information on which Medicaid Waiver payments may be excluded from income. Deductions are amounts of money you subtract from your total income before you figure out how much tax you owe. Some deductions apply only to federal income tax. Some deductions apply only to Iowa state income tax. Some deductions can be taken on both federal and Iowa state income tax returns. When you file your taxes, you can either claim a “standard” deduction or “itemize” (list) some of your deductions. A standard deduction is an amount of money every taxpayer can subtract from their income before they figure out their tax. It is based on the average amount people pay for certain expenses. Some people can benefit from itemizing their deductions instead of claiming the standard deduction. Itemizing your deductions means claiming deductions for your actual expenses. You might choose to itemize your deductions if you had high expenses. Itemizing might give you a higher deduction than claiming the standard deduction. People with disabilities may have expenses that can be itemized. If you think you might itemize your deductions, you should keep any receipts and other papers that show how much you spent. This is a deduction on your Iowa state taxes. The State of Iowa lets you deduct expenses to care for a disabled relative in your home. The relative must be your child, grandchild, parent, or grandparent. The person must be unable to live on their own because of a physical or mental disability. The person must get or be eligible for Medicaid benefits. Details about this deduction are included in the expanded instructions for filling out Iowa’s 1040 Long Form on the state’s tax website in the Deduction section under Medical, Dental and Insurance Expenses. Tax credits are payments the government gives you that lower the amount of tax you owe. There are two kinds of tax credits: non-refundable and refundable. With non-refundable credits, you can’t get more money than what you owe the government. With refundable credits, you can. Let’s say you owe $1,000 in taxes and you qualify for a $1,500 non-refundable tax credit. The tax credit lowers the amount of tax you owe to zero. You don’t owe $1,000, but you don’t get the other $500. It simply “vanishes.” Now let’s say you owe $1,000 in taxes and you qualify for a $1,500 refundable tax credit. The tax credit lowers the amount of tax you owe to zero. You don’t owe $1,000, and you get some or all of the extra $500 in cash from the government. This helps veterans pay for their property taxes. There is a form must be filed with your county assessor by July 1 of the year the property taxes are assessed. You can find the form on the Iowa Department of Revenue website under Disabled Veteran Homestead Property Tax Credit. Motor vehicle registration is not really a tax. It is more like a fee. But if you drive a motor vehicle that has special equipment to help you get in and out of it (like a wheelchair lift), you can get your vehicle registration fee reduced. Ask about this fee reduction at your County Treasurer’s office when you register your car or van. Calls are answered Monday through Friday, 8am-4:15pm Central Time. Calls are answered Monday – Friday, 7am-7pm your local time. You may ask questions to help you prepare your tax return, or ask about a notice you have received. For a free paper copy of any listed form or publication, call 1-800-829-3676. 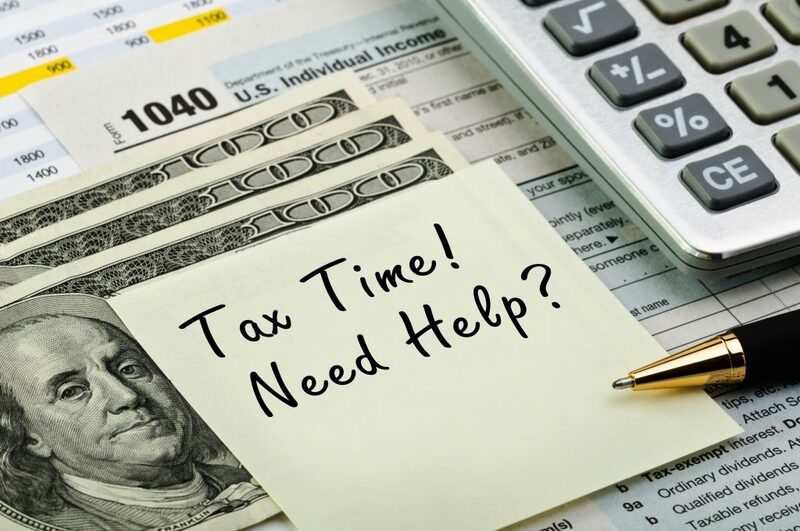 Help preparing your taxes is available at many local public libraries. Check online or the telephone book for the number of the public library nearest you. You may also dial 2-1-1 and ask for a complete list of free tax assistance programs near you.